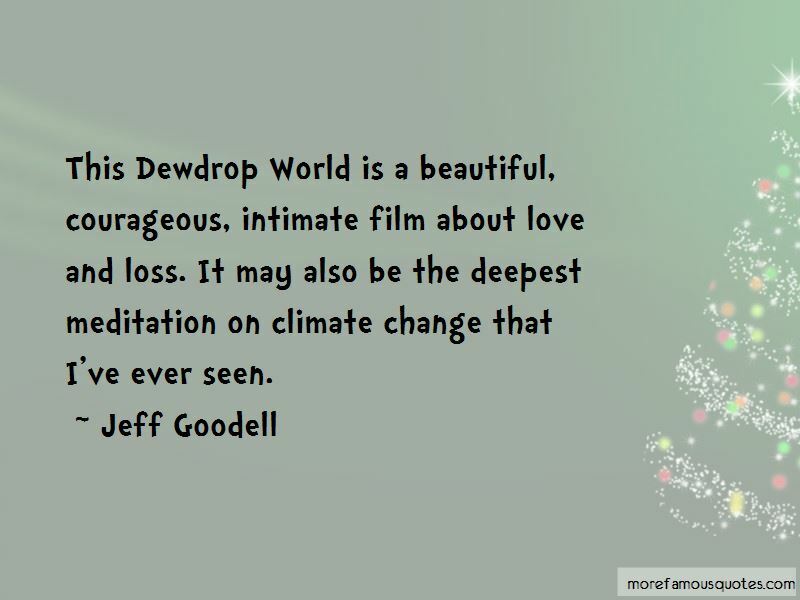 Enjoy the top 77 famous quotes, sayings and quotations by Jeff Goodell. Some studies have shown that natural gas could, in fact, be worse for the climate than coal. The oil industry fought hard to keep Keystone alive, making wildly exaggerated claims that the pipeline - the country's largest infrastructure project - would create tens of thousands of jobs and decrease America's reliance on oil from the Middle East. The relevant questions now are: How do we move beyond coal? How do we bring new jobs to the coal fields and retrain coal miners for other work? How do we inspire entrepreneurialism and self-reliance in people whose lives have been dependent on the paternalistic coal industry? 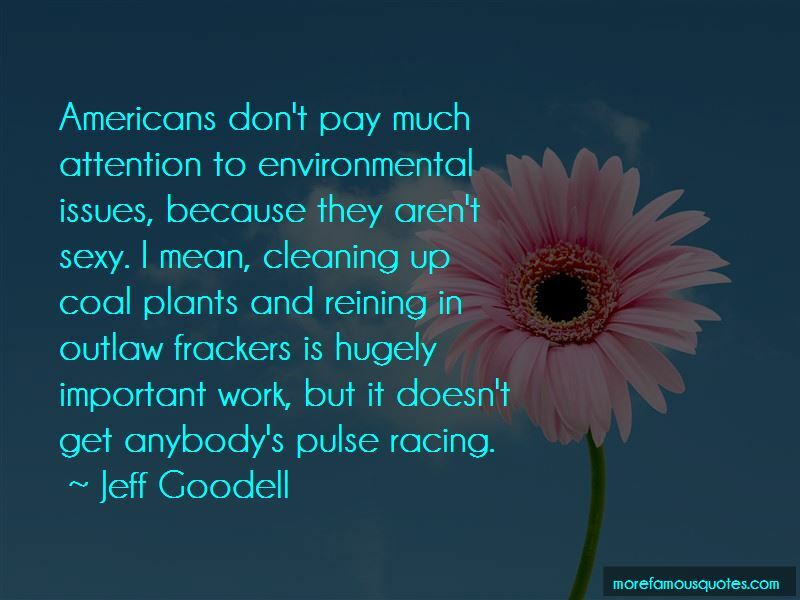 In any crass political calculation, drilling for oil will always win more votes than putting a price on carbon. But if I recall what I was taught in fifth-grade American government class, we elect presidents to do more than crass political calculations. For better or worse, the bulk of coal industry jobs are in Appalachia - and when that coal is gone, so are the jobs. 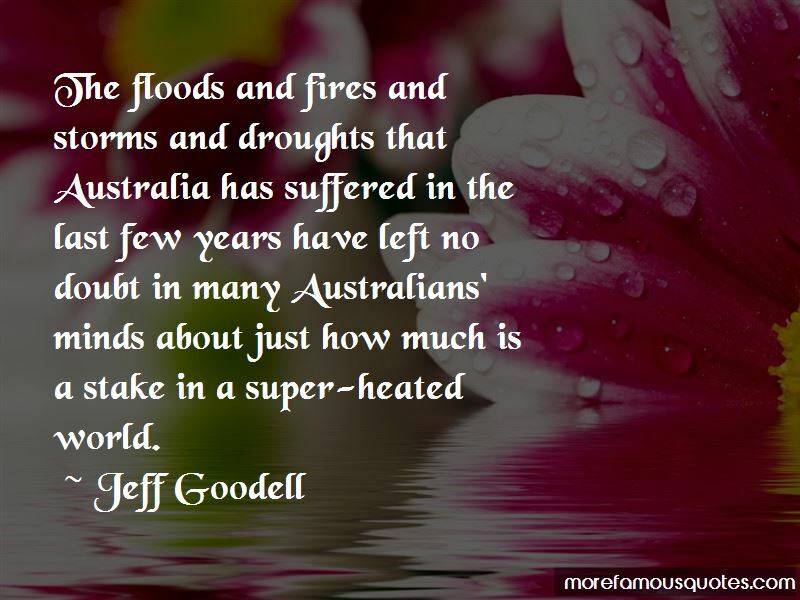 Want to see more pictures of Jeff Goodell quotes? 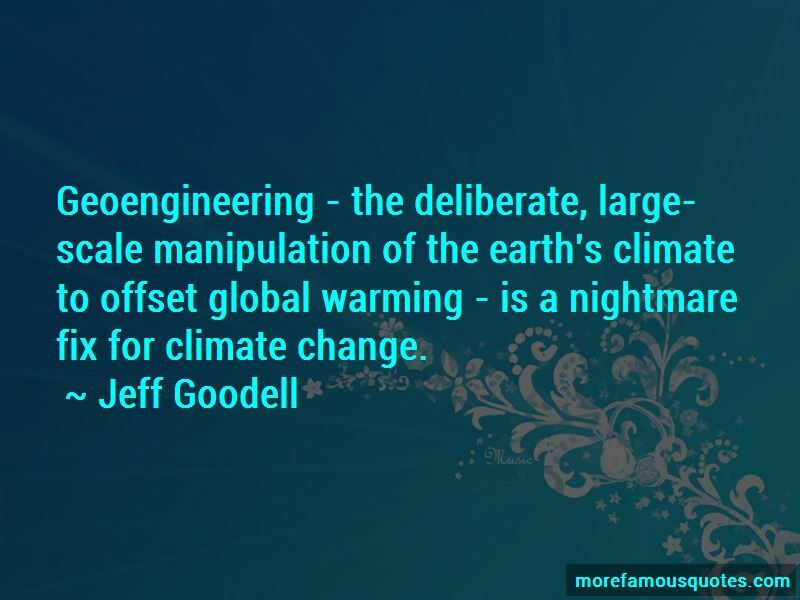 Click on image of Jeff Goodell quotes to view full size.